For nearly two years in the early 1840s, Victoria still new to the throne, a young Englishman with a nimble pen for both drawing and writing fulfilled his father’s request for weekly letters, although during most of that time they lived in the same house. 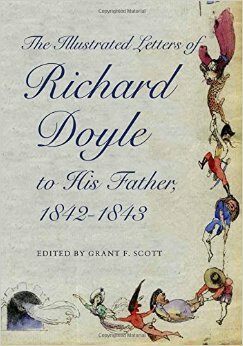 The elder Doyle meant it as a learning experience, and in fact it was exactly the right learning experience for Richard Doyle, then 17 – 19 years old, as he was establishing himself with the new magazine Punch and launching his interesting and successful career. 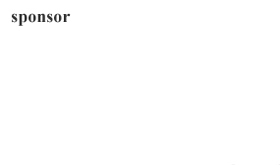 The letters have appeared in snatches previously, but never complete in their own book. Editor Grant F. Scott, a scholar caught into the delights of Doyle’s prose and pictures, remedies that oversight with personal pleasure although his own style remains solidly academic. He responsibly corrects Doyle’s careless assignment of dates: “Sunday, January 7th, 1843” was actually the 8th, Scott scrupulously lets us know, among many other small corrections. My advice to the reader is to go directly to Richard and later, when it will have more interest for you, read Scott’s scholarly account of the circumstances that spawned these letters in his Preface, Introduction and Afterword. For Richard, drawing was a natural accessory to writing. His line is quick and telling, his prose as neatly fulfilling. Happily, since color is a component of much of his art, illustrations are in color when appropriate. His dancers may frame a paragraph, a tiger and a man are shown looking with equal astonishment at one another, a sylvan scene cuts the salutation from the body of a letter, runs downhill along one side and stretches at length across the bottom of the page. Doyle has no hesitation in presenting animals in human clothes and delights in processions of all sorts. In the years of these letters, when adulthood was being tried out (and found to fit) Doyle was having a fine time, going to the theater with great regularity, looking at art exhibitions, considering what his opinions might be on any number of matters and reporting all this weekly – well, most weeks, anyway – to the paternal reader. Richard tells his father why, for instance, he prefers oils to watercolors although “I know it is more difficult to paint in oils than watercolors because you have often said so.” Despite this, he finds “I prefer the oil color infinitely, for independently of the much greater richness and depth of tone to be got thereby there is something so much more substantial in it, less likely to be injured, more likely to last and in fact better calculated for ‘great’ works.” Ah – so ‘great’ works are part of his ambition. Did he succeed? Greatness is a slippery concept, but can be interpreted as doing anything extremely well and there is little question that Richard Doyle caught a tenor of his times in his art and, in these informal letters reflecting a reasonably privileged young man’s London life in the early years of Victoria’s reign, in his prose. Perhaps the best thing is to put aside questions of ‘greatness’ and simply enjoy what is here. It was a period of intense learning for the young artist, newly adult, and the tone becomes more serious as the letters move on. His association with Punch determined the course of his career, although he would leave there after only seven years because the magazine’s anti-Catholic stance was more than a devout member of the church could tolerate. Early on in his tenure there he created the iconic Punch cover that would continue in use for more than a century. Doyle went on to illustrate books by Dickens and by Thackeray, but the Punch years had set his course. He would create a series called Manners and Customs of Ye Englishe, apparently for Punch, and another, appearing in Cornhill Magazine in the early 1860s, under the title Bird’s Eye View of Society. Doyle never married but remained close to his family. If the name “Doyle” seems to ring a bell, perhaps it’s because of his nephew, Arthur Conan Doyle, whose Sherlock Holmes stories are fixtures in all our imaginations. But Richard Doyle’s sharp eye on society as reflected in his letters to his father also carries over into the 21st century, proving once again that some things never change. The Illustrated Letters of Richard Doyle to His Father, 1842-1843 (347 pages) is published by Ohio University Press, Athens, Ohio, 2016.